I strive for a compassionate and non-judgmental approach to birth support. As a doula, I do not judge your choices, your actions, your desires, or your experience. I’m there to support you in what makes sense for you, your baby, and your family. Birth is beautiful, powerful, and life-changing—however it happens for you and your family. I believe that you have the ability to birth your baby. You have the right to do this in the way in which you feel most comfortable and secure. I don’t promote any particular approach to birthing or any one birthing philosophy because I believe birth is highly individual. I also believe that birth and pregnancy are dynamic processes: You might feel one way about your birth at the beginning of your pregnancy, another way at the end, and another way completely once your baby is born. I am there to support you during the journey before, during, and after. I am sensitive to the fact that, by hiring me as your doula, you’re letting me in on one of the most intimate experiences of your life. I will work with you, your partner and whoever else you’d like to be present at your birth to envision your ideal birth experience. I’m also there to provide support and guidance in outlining alternatives if changing the birth preference plan becomes the best option for your family. It’s important to me to work harmoniously with your partner (or other people who might be present at the birth); I remain supportive to their needs and wishes along with your needs. One of the things that I stress in my practice as a doula is communication; I believe that birth is best when the birthing environment remains positive and when a birthing person feels listened to, respected, and supported by everyone in the room. 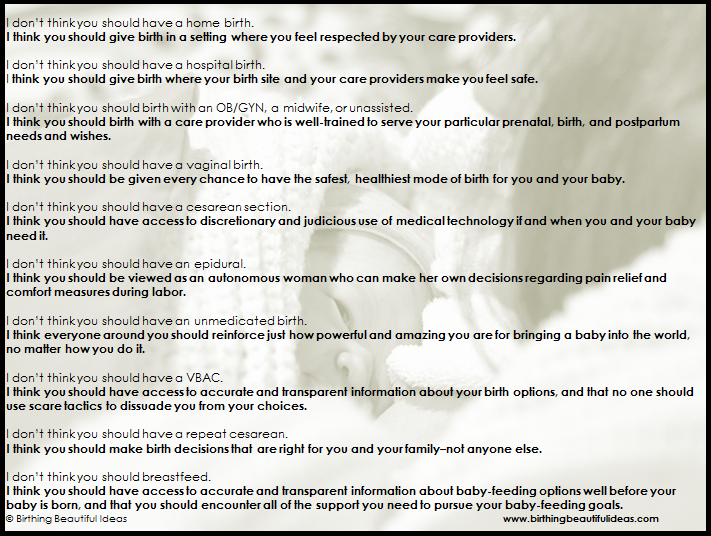 As a DONA-certified doula, I abide by DONA’s standards of practice and code of ethics. My practice is inclusive; I welcome work with non-traditional families and birthing people.